A recent paper argues for the need to preserve the gut microbes found in ancient rural populations. We talk about preserving rare species, sometimes arguing that they might have medicinal value. Some species produce different types of venom, that when applied properly can have medicinal uses. Certain plants have toxins that they use as part of a defences against insects. A recent paper I strayed upon showed another class of organisms that might have useful properties that are endangered: the microbes in the gut of people from ancient rural populations. 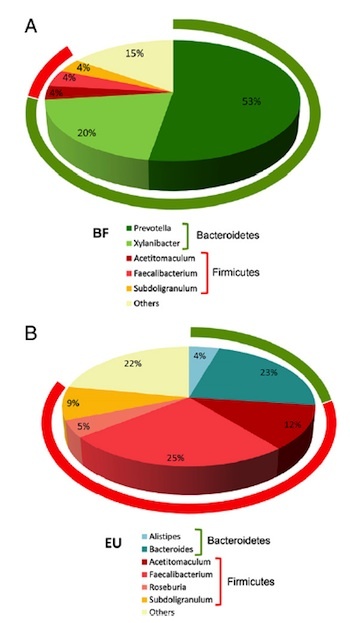 This study investigates and compares human intestinal microbiota from children characterized by a modern western diet and a rural diet, indicating the importance of preserving this treasure of microbial diversity from ancient rural communities worldwide. The lessons learned from the BF children’s microbiota prove the importance of sampling and preserving microbial biodiversity from regions where the effects of globalization on diet are less profound. The worldwide diversity of the microbiome from ancient communities, where gastrointestinal infections can make the difference between life and death, represents a goldmine for studies aimed at elucidating the role of gut microbiota on the subtle balance between health and disease and for the development of novel probiotics. 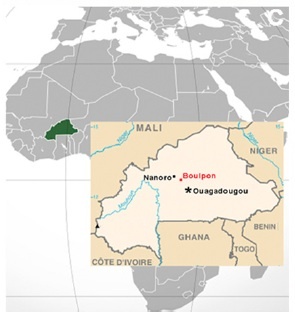 This group of Italian researchers compared the gut microbes of children from Burkino Faso – where they have a diet rich in grains – and European children. 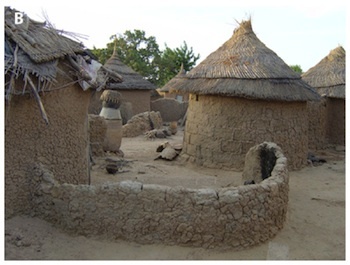 The group from Burkino Faso were chosen as their diet is considered similar to those from ancient times. Researchers studying the evolution of large numbers of species often choose a small number of genes from each species to represent the differences in that species. A common choice of genes are the genes that make up the ribosome, the machinery that transcribes genes into proteins. These genes have been now sequenced in thousands of species and can be used to tentatively assign unknown species as being similar to species whose DNA sequences are known. The Italian group choose the 16S subunit of the ribosome. They did large-scale sequencing, sequencing all of the DNA collected from faeces, then compared the sequences of the 16S subunits to bacteria where the sequences of the 16S subunits where already known. When they compared the differences between the Burkino Faso and European children, they found that they had quite different microbes (see charts to right), which they suggested might reflect their different diets. 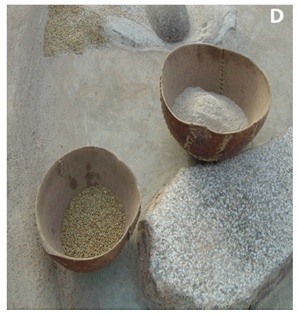 What is interesting to me about this work is the basis of it, the idea that different groups of people have developed different colonies of bacteria in their guts matching their diets and that as the diets and lifestyles of rural poor change, we might lose these bacteria and be unable to observe them, in a similar way that environmental changes can cause the loss of other species. Whether or not such bacteria will have medicinal value awaits the future, but the concept that there are gut microbial species to preserve in a similar way that we preserve other species is an interesting thought. All illustrations from De Filippo et al.